President Donald Trump’s National Security Adviser Michael Flynn has resigned, the White House said late Monday after week of hounding by leftists insane to destroy anybody associated with President Trump. Their first target was the attacks on now Secretary of Education Betsy DeVos after which was Attorney General Jeff Sessions which was as much as it went for President Trump’s appointments before each was accepted. Had similar complete idiocy and rejectivism been shown to President Obama’s appointments, especially minority appointments whose actual resumes left some room for improvement, if we may be polite about their qualifications, the media would have been in twenty-four hour a day, non-stop, over the top screeching about racism and hatefulness of the Republicans for actually questioning the candidates instead of being the rubber stamp they are supposed to be for Presidential nominations because the President, when it was Barack Hussein Obama, is so above reproach that his appointments must be blessed by the Highest Sources, the ACLU. Now every Presidential appointment must go through the trial by fire and ice, water and air, above and below and any other opposites which must mean they can never measure up to what the Leftist Democrats demand of them. General Michael Flynn’s great sin was actually preparing to do the job he was being appointed to before the Senate piranhas got their pound of flesh. He will become the celebrated sacrificial lamb which will be proof that all of Trump’s appointments were soiled and dirty and do not deserve to hold positions in the anointed realm of leftist government supremacism. Only the Elizabeth Warren fake identity politics wunderkind that hold esteemed resumes filled with academic accomplishment and complete devoid of real world accomplishment as such a realm they never dared to set foot as such is unclean and would soil them with reality, something our elitists avoid more than death itself. General Michael Flynn was a man of letters and real world experience on the hardest of all test grounds, the battlefield where lives and real gains and losses are measured in actual yardsticks. It was in this world where reality costs lives and political gains are figments of the imagination coming from Washington from the likes of Ms. Warren but are measured in inches and foxholes and the men who man those foxholes. His world was far from the antiseptic discussions in the Congress where everything becomes numbers on sheets of paper held aloft to prove points they often have no relevance held between. In the world of General Michael Flynn those pieces of paper represent real Dog-Tags of real men and women who have mothers and fathers, brothers and sisters, wives and families and children, fiancés, boyfriends and girlfriends and every one of those people need to receive a letter written with the emotions, tenderness, understandings and consolations which will make each loss all the more bearable and to sooth them while conveying that you actually had personal knowledge and attachment with their beloved. 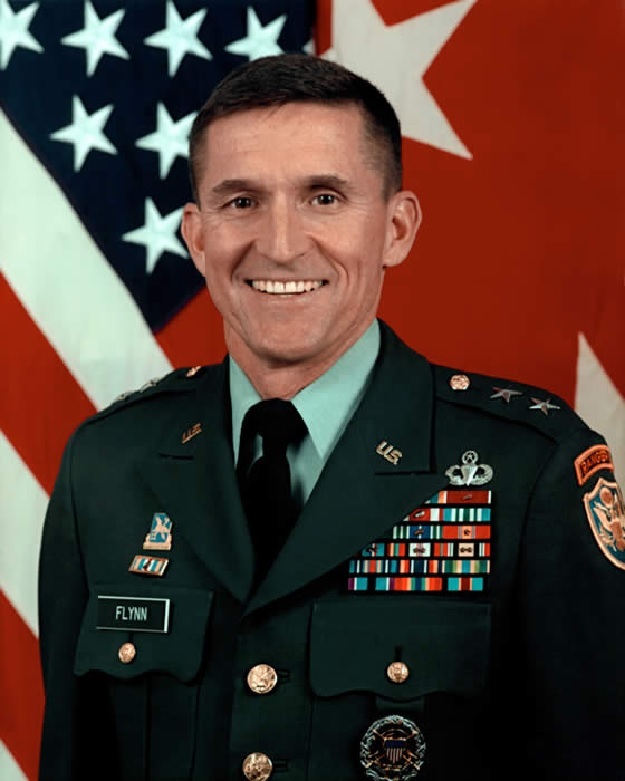 With General Michael Flynn such knowledge of his men was a definite possibility as he did more than most to know each person under his command, a Herculean task beyond the imagination of most in Congress who now celebrate this man’s surrender to vindictive and mean-spirited victimization. The media will cover this as a great weeding out of the unfit from President Trump’s Cabinet and advisors and claim that there should be a long list of additional resignees and when the Democrats regain the Senate, as is proper and the natural order of things, then there will be blood in the water and a feeding frenzy will begin and President Trump’s Cabinet will be emptied and the President impeached once they gain all of Congress, also part of the natural order according to the mainstream media. Watching the tantrums from the Senate Democrats and the outraged diatribes by the likes of Nancy Pelosi, Elizabeth Warren, Al Franken and sundry other elitists whose lives and reality seldom have met has actually served to make many a reluctant Trump supporter become an active Trump supporter. The unbridled hatred and demeaning of the entire half of the nation which voted for, as the Democrats (or should we call them DemonRats) describe Trump, the Devil incarnate about to spread brimstone upon the Earth in the form of overt pollution allowed when the entirety of EPA restrictions have been swept aside in an effort to please his masters in industry making the United States and even worse polluter than China. We need remember that China had to close down three-quarters of the manufacturing and limit electrical power use in Beijing before the Olympic Games so as not to poison the lungs of the competitors or those coming to view the games and see modern China for the first time. Tell us if your city has pollution so bad it could inflict lung damage to a Nigerian sprinter just because he ran the hundred meter dash without breathing equipment. Even at its worst, Pittsburgh or Denver or Los Angeles were never that bad, and these were the worst of the worst back in the day (the 1960s through 1980s). The United States has met more pollution targets than even the Europeans have done and the United States met them without approving the Kyoto Protocols because in the United States technology was not hindered by restriction on experimentation and risks which some paid dividends and others proved to be the wrong direction; the thing is by allowing trials we learned and improved faster than those restricted to taking the most cautious of routes. This is the same as can be said of the Cabinet as they all have real world experience where trying something unproven is permitted, not condemned out of hand as such has been condemned by Congress often in the past. There is a lot to be said for working where there are real consequences over those whose career has been politics where the consequences are paid by the public, never the politicians. The media and the left are consumed by rabid hatred of President Trump and everything he might do and anyone he might appoint. Their rioting in many major cities and on campuses across the nation with paid specialists who come in at the high point of such demonstrations when emotions are most stoked wearing their ninja black outfits replete with masks hiding their identity and then proceed to lead those they can instigate or inspire in destroying property, breaking store windows, overturning cars, setting them on fire and even stealing merchandise from the stores whose windows they smashed and if they come across an unfortunate individual wearing a “Make America Great Again” hat, they will harass and possibly actually attack and mug that individual for having the temerity to trespass on their assigned route of destruction. The problem is that these instigators are paid and not grassroots inspired protesters. They are sent with the intention of causing as much damage as they are able and thusfar they have been granted free range to do as they desire. The fact that the police have been instructed to stand down and allow this violence is indicative of the disease rotting away America’s major cities. The fact that police are told not to prevent or even interfere with violent and destructive demonstrators, ones who are obviously organized and paid to perform this task, makes one suspect that the backing for these rioters are well connected and have the means and influence to get the political leadership of these cities and the administrators of the colleges and universities to permit and all but encourage such violence as if there is a concerted effort to radicalize as much of the population as possible. This was part of what gave way to our fears that this is a movement designed to take control of the government through violent threat and the promise to bring order back to the nation by a coming future savior, possibly such running for President in 2020 and having Congress declare Martial Law and after that the die is cast and all that needs be accomplished to overthrow the Republic will have been accomplished. This fear is what caused us to write the article The Fascist Playbook is Being Repeated Now covering the end result of these protests if they should continue to grow and become an undercurrent type of movement which can be cast as subversive by an actual radicalist popularist leader using such for their own political goals and gains. If this sounds confusing or you are unclear on this, please read the article and possibly do some research and the pattern becomes clearer the more you know. This pattern begins by undermining government and making the current leadership appear unpopular, unable to actually govern and inept. This is used by a savior who runs on a platform of restoration of the ways things are supposed to be and how they were when all was well with the nation. After four years of cities slowly growing more disrupted until they are burning come the 2020 election cycle and President Trump is opposed by every mayor and thus unable to quell the violence and the Democrat candidate claims they warned that Trump would ruin the nation and if you just give them the power to do what needs be done, then order will return. Order returns, but not as one would expect or desire, it becomes an absolute order replete with oppression of all freedoms, fascism. But the victimizing of National Security Adviser General Michael Flynn is a sad day and something which should be mourned, not celebrated. But the message which will be played is that he was being subversive and breaking all the rules of decorum by meeting with the Russian Ambassador’s aides to discuss possibilities once President Trump took office. On one side the media is condemning Trump for taking over ten days to place all his advisors and Cabinet into place as well as the near two-hundred Ambassadors while all the time demanding more vetting of every appointee and attempting to reject any of his appointments on the smallest of discrepancies which can be uncovered. About the only question not asked has been the famous trick question of, “When will you stop beating your wife, a date, that is all we need, just a date.” The Democrats and their friends in the media and entertainment will laud them for chasing this disreputable scoundrel from office ignoring the fact that the man they are smearing is so far above their petty crap and such a superior individual with more respect and love of the nation than many of them could imagine having that any comparison between them and General Michael Flynn is laughable if what they have sewn was not so sad. President Trump has already brought forward General Keith Kellogg to be acting National Security Adviser and we would love for this to be his actual nominee. There will likely be rumors about why this honorable man is also not worthy of such trust and high office. Perhaps he was within five miles of a Russian Consulate during his last vacation and they will demand to know what he was doing in such vicinity of a Russian institution. The rabid and vile accusatorial nature of the media and Democrats, nay, DemonRats as it is not all the Democrats but a select and vicious groups of attack pit bulls who are to be scorned for their misrepresentation of their responsibility to advise and consent, they instead are attack and dissent. These DemonRats are committing the exact crime they accused any Republican Senator of committing should they even have gone so far as asking a question of any appointee by President Obama calling such acts to be stonewalling and impeding the due process of advise and consent which they were charged with performing. Oh how quick the story changes with a change of administrations, both in the media and in the definition of the powers of the Senate where advise and consent goes from simple consent to critical inspection. On that alone is the definition of hypocrisy. Can President Trump Cure the Ills of America? 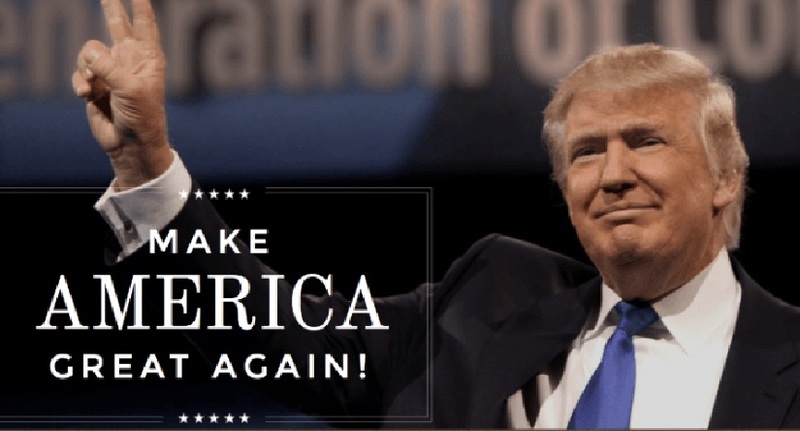 The United States new leader, President Donald J. Trump, promised to “Make America Great Again.” The real question should be can he cure the United States of her illness. This disease has numerous symptoms of which we will cover a few of the most threatening. The first on the list is a sinister little one which hides in plain sight. The current reproductive rate is 1.84 children per woman which is well below the 2.33 reproductive rate necessary for maintaining a nation’s population. This simply means that the United States will have fewer workers to support an aging population and this will only grow more and more serious over time. The only obvious solution is to allow for immigration, eventually massive immigration. From all expectation, any large immigration program will lead to a rebalancing of the predominant population statistics in the favor of whichever groups of foreign nations contribute to the immigration. The most readily available populations are from Central America and South America. This has been the trending for the past decades which is leading to a growing Hispanic population which is rapidly becoming the largest minority population and with time they will become the predominant population. There is a fortunate trait in that the vast majority of such immigrants hold similar religious identities and have a Judeo-Christian ethics and history which will make for a merging of the populations and not as much a shock to the culture or as much a threat for large changes in laws and outlook of the resultant population. Should the United States instead bring in immigrants from the Middle East and North Africa (MENA) there would be an inevitable confrontation between the emerging culture and the currently existing culture. If history is any indicator, an increasing Islamic minority would at some point lead to an actual confrontation which the aging Judeo-Christian community who would most definitely loses. This problem has been traced from demographic studies to have a direct relation to the legalization of abortion after the 1973 Supreme Court Roe vs. Wade decision leading to nationally recognizing a legal right for a woman to obtain an abortion. The good news is that the numbers of abortions have steadily decreased over the past few decades. The not so great news is that this has not led to any measurable increase in the reproductive rate as was expected. Demographic studies have shown that couples are waiting until later in life before getting married. This had led to the obvious postponement of starting families and, as in most cases both husband and wife are professionals with careers, they often put off having a family until even later leading to many couples having a single child , or worse, deciding not to have children at all. Societal studies have also seen a trending in millennials for their deciding to forgo marriage, children and even permanent relationships instead settling to have small groups of friends who have open partnerships or some simply leading singular lives dropping in and out of relationships never desiring to become involved in a permanent relationship. Perhaps these individuals will settle down later in life but that will likely lead to a childless relationship as they may wait until past the point of fertility. Whatever the future, the current trends indicate that the only solution to the American childlessness will be through immigration and praying that the new immigrants prove immune to the childless culture as they come from a more reproductive friendly culture. Islamic immigrants would also have a higher reproductive rate than the current American culture. The one catch is that it has been found that as financial wealth of a society increases, reproductive rates plummet. This was what has struck Europe and has been given as one of the reasons the political rulers have been allowing a free import of Syrian and other MENA refugees. Whether such a program was a good idea or a potential allowing for an infiltration leading to an eventual takeover by Islamic policies is something which is still being debated. Time may settle that debate before any conclusions are forthcoming. The one certainty is that many of the existing European populations are not overly excited about the newcomers and may be voting in a whole new and opposing set of leaders as elections sweep across the continent. Should Europe start to become an Islamic based society, then that may play well for solving some of the system shock for the United States as many of the elite, and any others with sufficient means, would flee Europe for the apparent safety of the United States. Much of this future will depend on socioeconomic developments and for the existing confrontations and other dangerous situations not developing into a far broader set of conflicts leading eventually to an all-encompassing conflict. This might actually have the effect of shocking the current Western World out of its self-serving egoism and realizing that there is only a future if there exists a prodigy to which to hand over that future and that depends on having said prodigy. Having such a revelation sweep Western society would be a blessing though it would be preferable for it not to have to be impressed through some horrific conflict as such changes have been initiated in previous eras. Such conflagrations have also brought down empires which not much earlier had been considered a permanent fixture assured forever into the future. The lesson there for the United States is that nothing remains on top forever, not Rome, not the British, not the Spanish, not the Egyptians, not Alexander’s Greeks and not even China, one of the longest continuous empires still existing and asserting a presence in the modern age. Another serious illness striking the United States is the political divide which has not only grown wider this century but has also grown far nastier and more toxic. This past week proved this beyond any shadow of doubt. When President Obama was first elected in 2008 there was disappointment on the Republican side but most Americans hoped for the best. Many were disappointed but still believed there was hope and President Obama was reelected. After the 2012 election there was a smattering of protests which were nonviolent and largely quiet. The media made sure they had a short self-life by largely ignoring their existence. This present Inauguration brought back the protests and cries of foul from 2000 except with far more violence and vitriol. Madonna spoke of dreaming of blowing up the White House. That was quite far overboard as that would be such a waste of the rebuild after the War of 1812 which was finally completed in 1817 and President James Monroe moved into the new and improved White House. The demonstrations were boisterous and somewhat over the top including the burning of President Trump in effigy. The problem was with the violent actors who destroyed property, attacked police, attacked injuring innocent people who were simply attending Inaugural Dances including the insulting, spitting upon and injuring of a Gold Star widow and her sister. Spirited protests and debate are one thing and destruction of property and assaulting people and police is a completely different and unacceptable form of protest and should be considered beyond the pale. People work and depend on those places for their families and futures and the destruction of their workplaces hurt innocents and since a good many of these places were in major cities, especially those in Washington D.C. where over 90% voted for Hillary Clinton, most of the people hurt by these unscrupulous acts were Hillary supporters. Whatever the presumed excuse, such violence, if left unchecked, only grows and eventually leads to the destruction of the society. Jordanian law has a very strict, irreversible, strident punishment for any Arab or Muslim who dares to sell land of any sort to a Jew. The punishment for committing such an act of daring-do is death. Where Palestinian courts have sentenced an unknown number of Arabs for selling land to a Jew, also referred to as ‘the enemy’ in another law; there are the Jordanian laws, which change usually becoming more stringent, as well as laws passed by the Palestinian legislators who have made any number of laws which have referenced selling lands, homes, apartments, facilities, and other references to properties which all carry a sentence of death. Often an Arab brought to trial for selling land to a Jew, the enemy, a middle man making a purchase for a Jew, any non-Palestinian and whatever other laws they can find even to accuse them of blaspheme guarantees that a death penalty will be sentenced for multiple offenses. The catch is that even after the courts have sentenced an individual to death, the penalty cannot be legally carried out until the President, currently Mahmoud Abbas who is serving in the eleventh or twelfth year of his four year term, has to approve the execution. Thus far it is assumed that President Abbas has never approved an execution though the BBC claims that he has approved three executions. What is beyond ridiculous is that Israel has refused to apply Israeli civil law and has left the areas of Judea and Samaria under military law but has at least annexed and applied Israeli law to East Jerusalem. The Palestinian Authority has, along with many in the international community even beyond the Arab and Muslim worlds including many European nations, the European Union and beyond, refuses to recognize Israeli annexation of East Jerusalem. This means that in East Jerusalem Jordanian laws no longer applies and an Arab is permitted to sell land, an apartment or any property to anybody they choose. The drawback is that the Palestinian Courts will still hold a trial and convict you sentencing you to death and send that order to Abbas for his approval. The truth is that once one is even suspected of selling property to a Jew, even if only because an investigation has been opened, they are at a much higher risk of non-judicial execution, often at the hands of the Palestinian Security Forces who in many ways are the police as well as the supervising authority. We here at BTC have no doubt that at some point, should things continue as they have over the past fifty years, then soon the Palestinian courts will be convicting Arabs who have lived in Israel and are and have been Israeli citizens all their lives as the Palestinian Authority does claim that all the lands between the Jordan River and the Mediterranean Sea belongs to them, the entirety of the 22% of the British Mandate lands which were not granted to Jordan for the initial Arab state in the Palestinian territories under the British Mandate. Why does Israel allow the continued application of such prejudicial law which targets Jews solely for exclusion from property transactions? The entirety of this discussion and the institutionalized bigotry at the United Nations, within the European Union and many of its individual nations and throughout the NGO’s professing to be human rights enforcers extreme who have found that all of human suffering and every single human rights violations are perpetrated by Israel depends on a single premise, that being that before November 29, 1947, nothing existed and the world as we know it and all the nations of the Earth came into being at that time just as the United Nations was violating Article 80 of their own Charter and all the laws, treaties, conventions and other international forums which it recognized and made inclusive within the United Nations framework and took the proclamations made by the League of Nations resolving the results from World War I and identifying national borders throughout Eastern Europe, the Middle East and Northern Africa. The reason that the world has to begin on November 29, 1947, is because on that date the United Nations took the remaining 22% of British Mandate lands and divided it in what they called an even patrician with half for the Jews and half for the next Arab State carved from the original British Mandate after the 78% land grab where the British issued the Churchill White Paper which tore that land from what would have been the Jewish State to satisfy a promise to the Arab Hashemites to a homeland in return for their assistance in World War I. The White Paper left the Jewish State to be founded on the lands west of the Jordan River but that was unfair cried the Arabs. The Jews are taking all of our lands, we demand more. So the United Nations took a strong stand and insisted that the Arabs settle for half of the remaining land and allow the Jews the remainder which was divided so the Jewish lands was predominantly Negev Desert (see map below). The Arabs took one look at this United Nations General Assembly Resolution, a suggestion which is only valid if accepted by both parties, and immediately rejected it protesting that it was unfair, they wanted it all, period. They swore they would annihilate the Jewish State the moment dawn broke on its first day of existence. simply one hand clapping, useless. Their threat was real and over half a dozen Arab armies and militias invaded Israel the morning of May 15, 1948, at dawn, the first sunrise over the Jewish State. Because the Arab League and all representatives for the Arab people rejected the compromise put forward by the United Nations General Assembly, Resolution 181 was voided as if it had never existed. The above map is now always flashed by Arab League members as the actual borders and that Israel attacked the Arabs and gained lands in 1948. The reality is that the World War I decisions which were validated and made enforceable by the United Nations, an obligation and not a suggestion, are the rules which apply and have applied since the start in the 1920’s and is the reason everybody starts in 1947 or even 1948 proposing a lie. The reality is Israel was the Jewish State west of the Jordan River and Jordan was the Arab State east of the Jordan River (see map below). This made the Gaza Strip captured by Egypt as well as Judea and Samaria (West Bank) captured by Jordan were both illegally held lands as they were gained by a war of aggression. Israel responded to the massing of armies on her border by Egypt and Syria in late May and into June of 1967 by attacking a day before intelligence reported the attack was scheduled by President Nasser. Lebanon joined almost immediately and Jordan began a debate and mobilized their forces while Israeli leaders pleaded for them to reconsider telling them the reports on television and radio by Egypt and Syria of great advances towards Tel Aviv were false, lies, and propaganda and that they were being decimated on all fronts. Jordan ignored and assaulted Western Jerusalem forcing Israel respond by diverting troops headed for the Sinai Peninsula and Jordan was pushed back beyond the Jordan River. Israel had liberated the Gaza Strip as well as Judea and Samaria (West Bank) while also gaining the Golan Heights and the entirety of the Sinai Peninsula gaining one bank for the Suez Canal. As these territories were gained in a defensive reaction to impending massive attacks on three borders, the lands gained could be legally retained or a good amount retained providing a case can be made that the new borders would provide greater defense for the nation. Israel used this to annex the Golan Heights from which Syria used to train snipers by having them shoot farmers working in their fields in the Israeli Galilee north. Israel could have retained the entire Sinai Peninsula as the Suez Canal would make for a good defensive front or they could have retained half the Sinai Peninsula holding the mountains and the passes through them. Instead, Israel returned the Sinai Peninsula in its entirety in exchange for a peace treaty with Egypt while Egypt refused to request the Gaza Strip. 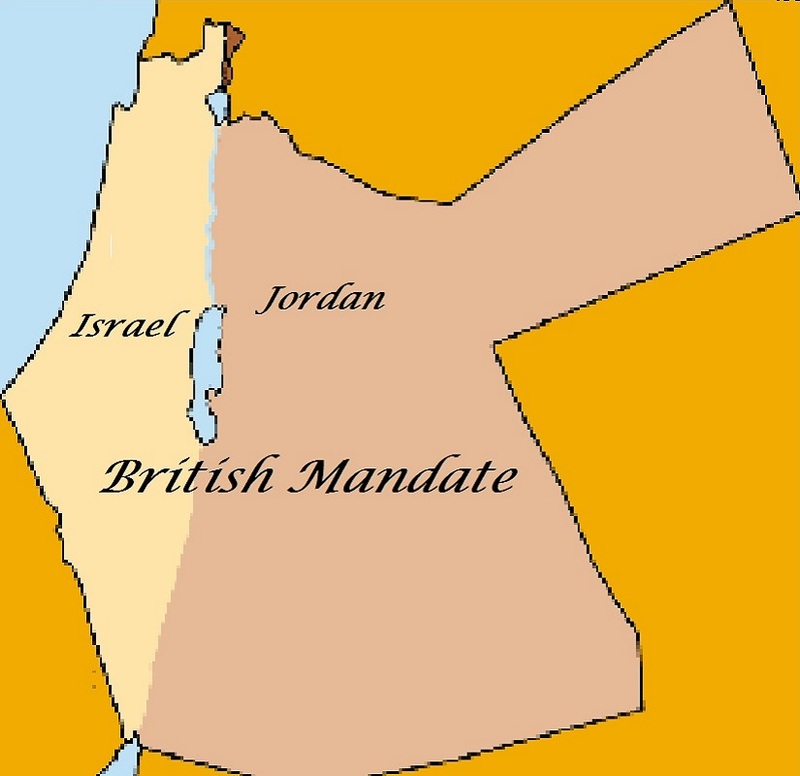 Israel offered Judea and Samaria to Jordan who refused the area ceding it to Israel. That should have been the end and the map below would have been the result but the world demand that Israel be made to fall all the way back to the original 1949 Armistice Lines which were the line defining Israeli borders before the June 1967 Six Day War. This is unheard of for any nation other than the United States in the latter half of the Twentieth Century. Somehow it is doubtful the United States would want to keep the areas of Europe and the Pacific and Asia they fought within during World War II. Israel would be well served in retaining the lands up to the banks of the Jordan River. The first cry which comes from every front is to repeat the big lie that Israel retaining all of Judea and Samaria is impossible because then Israel will have to choose between being Jewish or being Democratic. The added population would only become a threat in twenty to forty years depending on growth rate of populations which you choose, and if you take the most recent and have trends continue one finds that Israel remains Jewish into the foreseeable future. Some claim that this creates a problem because the Arab refugees in the camps who have languished there since 1948 would be left in these camps indefinitely and must be relocated into Israel. This is the reason these Arabs have been kept in these camps which resemble apartment blocks more than refugee camps with tents. These unfortunate people have been retained in the camps for the reason of overwhelming Israel with these refugees and their descendants. The Palestinian Arab refugees are the sole refugees in the world whose status is passed on to their children and their children and their children presumably forever. What has been forgotten is that there were almost one-million Jews forced from the Arab and Muslim world between the founding of Israel and 1960 who relocated into Israel where they were moved into the general population as rapidly as was possible. These Jews now make up close to half the population of Israel and makes another claim a lie. We hear the Jews need to return to Russia and Europe where they all came from. Well, what about the other half who came from Egypt, Sudan, Libya, Syria, Saudi Arabia, Iran, Iraq, Pakistan, Algeria, Tunisia, Yemen, Qatar, Kuwait and other Arab and Muslim nations. Does anybody honestly believe that these nations would take their Jews back? When they refuse, then where do the Jews they rejected and their children go? And those Israelis who have one parent from European or Russian lineage and the other from the Middle East or North Africa? Have a lottery sending half to Europe and the other half to where when the Arab and Muslims refuse them? The Palestinian Arab refugees were being absorbed by the nations where the camps are located but when the PLO was founded in 1964, Yasser Arafat and Mahmoud Abbas with the rest of the leaders as well as the Soviet Union all demanded these Arabs be returned to and kept in camps so they could be used to inundate Israel and vote the Jews into the sea. The last item that everyone ignores is that the terms of the Mandates and all the other treaties, conferences et. al. demand that while the Jewish State, Israel, must respect the property rights, the right to work, education civil and religious rights of their Arab peoples, they do not have to extend political rights to the Arab population. That means they do not have to make them full Israeli citizens and could allow the Arabs to have semi-autonomous regions where they rule themselves but Israel retains the right and responsibility for security and defending those lands. The Arabs could be given rights in places to participate in local elections but not in national elections. There are numerous solutions all of which start with applying Israeli law over all the lands and put an end to using Jordanian laws. This would allow Arabs to sell their land and seek a new life possibly with relatives in Canada or relatives in Egypt or anywhere between. This would bring to an end the enslavement of the Palestinian Arabs by threatening their lives if they wish to sell their lands and move. As things stand now, every Palestinian Arab can and many are being forced to remain despite desiring to sell their lands, even if they were to sell to another Arab as the Palestinian Authority and Hamas both desire having as many Arabs remain within what might eventually become Israel as a deterrent against Israeli efforts to purchase much of the lands from Arabs eager and willing to sell and start a new life elsewhere. This freedom to relocate is denied them by leaders who are stealing their future in every way conceivable. Spread fair laws, allow people to use their lands to their best advantage and get the terror fronts off their necks. The worst deprivation in the Arab world outside Syria and the war zones is the life-crippling internment of Arab Palestinians just to spite Israel and their leadership’s willingness to deprive them of a better and free future through imprisoning them in camps or in neighborhoods where cronyism and embezzlement are standards of governance. Even with these problems, the Palestinian Arabs have one of the highest standards of living in the Arab world, though their standard of living is far below that of Israeli Arabs. How often have you heard those truths? You do not hear that the Israeli Arabs have a good life and the Palestinians are all but enslaved by their own people and their own dictatorial leaders. In Syria Bashir al-Assad first used nerve gas on a Palestinian camp and first used barrel bombs on that same Palestinian camp. The Palestinian camps in Syria were bombarded for week after week and in most cases little was left standing. These camps which consisted of cement apartment blocks were levelled almost to the ground and made Aleppo look like a nice place to live at those times. Now nowhere in Syria seems like a nice place to live outside some Druze mountain villages. Even the Kurdish regions have become an intolerable war zone with the Turkish Air Force and Army doing everything in their power to murder even the youngest of the children and destroy all of the Kurdish lands. That is how Turkey is fighting in Syria, telling the world they are fighting the Islamic State when they are making the world safe for the Islamic State as the Kurds were one of the most effective groups fighting the Islamic State. Just another little black and white lie printed in your morning newspapers. Just another brick knocked from in the wall.